Special products list | Products | Tokyo Hatsujyo Manufacturing Co.,Ltd. 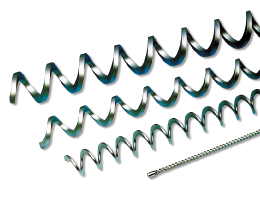 It is possible to be more compact compared to round wire springs, and also able to take strokes and heavy loads. 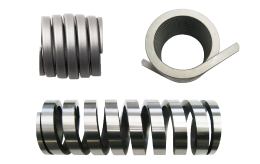 However it is more costly and delivery times are longer than round wire springs. 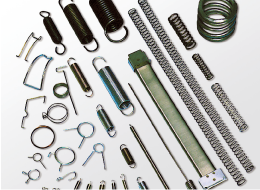 Non-magnetic, Corrosion resistant, heat- resistant springs, Special shapes or hook springs etc. We can suggest for you a design to suit your requirements. Example of materials, we are using stainless steel, silicon chrome steel, piano wire, and hard drawn steel wire. We hold a wealth of linear round cross-section material, corner cross section material. By using spring wire, durability is increased for wear. It is possible to make a lengthy spiral with one wire, so it can be gain stable strength without a join. 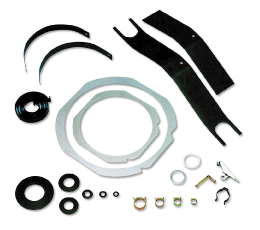 We are able to meet your requests through our custom order system for these products. 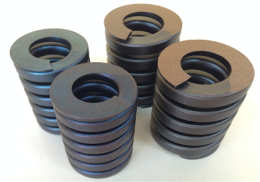 It is possible to manufacture and mold a large variety of forms using Spring stainless copper band, spring copper band, heat-resistant copper band, spring phosphor bronze, beryllium copper, or the like.